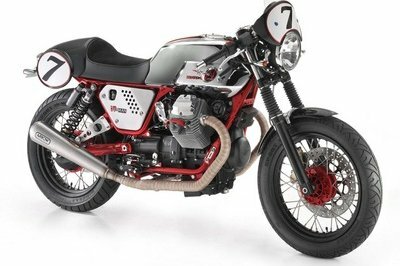 Moto Guzzi is jumping aboard the customization bandwagon after announcing the launch of a handful of custom kits for its range of V7 models, specifically the V7 Stone and V7 Special models. The Piaggi-owned motorcycle company hasn’t released the full price list of the custom package, but it did say that it will be offering four kits that allows customers to alter the style of their V7 Stone or V7 Special models. 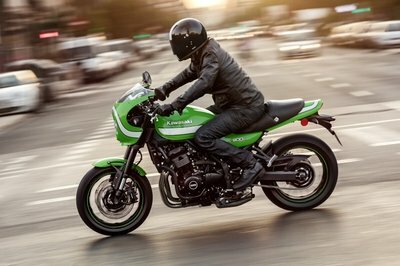 According to Moto Guzzi, any customer who avails of the available kits can dress up their V7 cafe racers and turn them into either a Scrambler, a matte black Dark Rider, a chrome Dapper, and a Legend kit that includes an olive green or camouflage fairing and tank kit, natural leather tool bags, off-road tires, and a two-in-one high-mounted exhaust. The only downside to the new custom kits is that Moto Guzzi is only offering the custom kits as an add-on to the actual bikes. 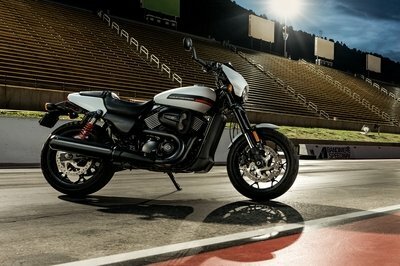 So if you’re looking to get the kit options, the first order of business is buying an actual V7 bike, which comes at a price of £6,799 for the V7 Stone and £6,999 for the V7 Special. Once you’ve bought this very important purchase, you can purchase the kit separately, or just score individual parts from the set. It’s an enticing offer, especially if you’re the type who wants to dress up your Moto Guzzi V7. The mechanics of getting one are admittedly steep, but hey, if you’re going to buy a V7 in the first place, it might not be that bad of an idea to dress it up according to your taste and preference. Click past the jump to read more about Moto Guzzi’s customization kit for the V7. I’ve always been a big fan of custom bikes, maybe more so than custom vehicles. Take it from the perspective of what you can do with these bikes. That’s how I see it and that’s the value that I see in Moto Guzzi’s decision to develop aftermarket kits for its two V7 bikes. 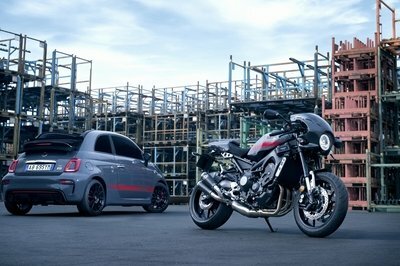 The two cafe racers are already pleasant in the eyes so it’ll be interesting to see what kind of updates these custom kits will have for the two bikes. The Legend style is the only one that we know extensively about and I gotta tell you, there’s something about a cafe racer dressed in camouflage that has our attention. 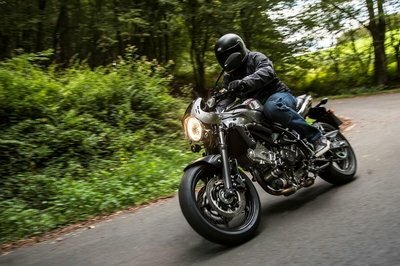 The other matte and chrome options are also pretty intriguing, which is short of saying that Moto Guzzi is giving its customers quite the pickle on what kind of kit they’d want to have on their respective V7 cafe racers. If you make me pick, I’d probably go with the matte black Dark Rider kit. I love me some camo, but if there’s one thing I like more than that, it’s matte black. Give me a generous dose of that finish on a V7 and I’ll gladly pay the premium needed to make the full purchase. Whatever the case may be, all four kits look to have their own design calling cards, which is why I won’t blame anyone for picking any of these options.